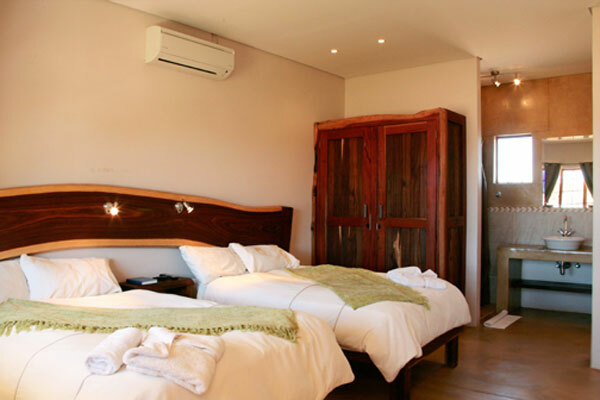 Comfortable, reasonably priced Hotel in Otjiwarongo, Namibia. 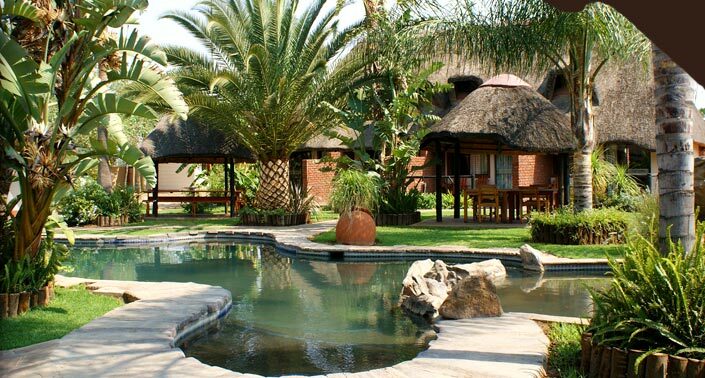 Décor is typically Namibian and African style with thatched roofs, banana palms and local hospitality. 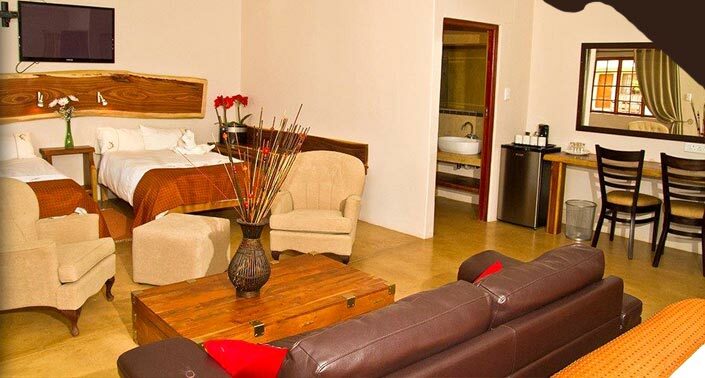 The Hotel offers 56 rooms which includes single, double and family rooms. 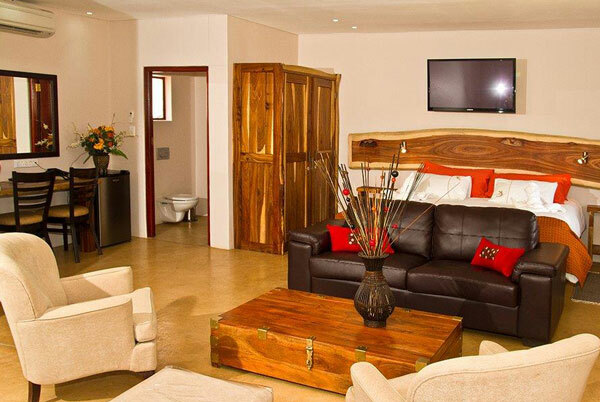 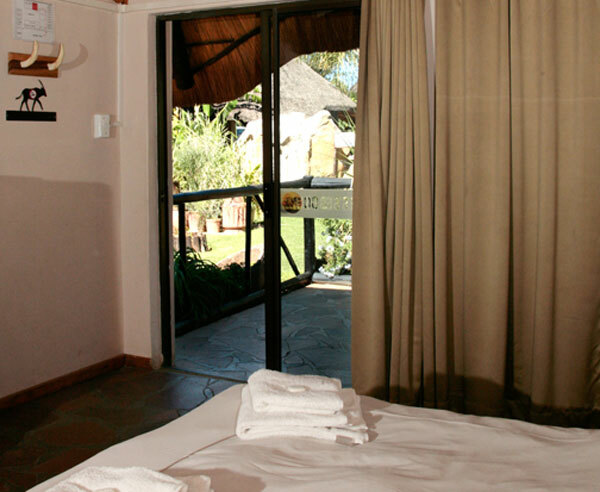 Our rooms are comfortable and spaced far apart in a lodge-like layout for a more private stay. 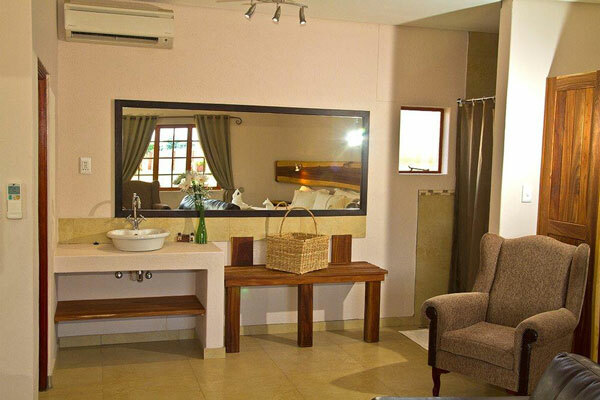 Visitors can choose between the atmospheric standard rooms or more upmarket luxury rooms.